The Kitsap Peninsula is home to dozens of military cemeteries, memorials and historic sites that honor those who served our country. Some sites date back to the Spanish-American War, others are memorials that represent fallen soldiers in World War I and II, the Korean and Vietnam Wars. The Tomb of the Unknown Soldier honors fallen military men and women and, at the Veterans Home Cemetery in Retsil, you can view gravesites of soldiers who fought in the Civil War. 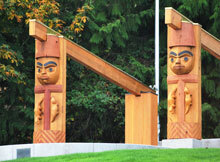 The hand-carved artwork at the Suquamish Veterans Memorial in Suquamish honors tribal members who served. Click here for a PDF of complete list of Kitsap County Veterans Memorials located around Kitsap County. 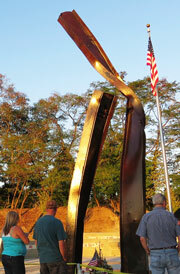 At Evergreen Rotary Park in Bremerton you can visit the Kitsap 911 Memorial, which features two steel beams recovered from the twin towers of the World Trade Center in New York City. 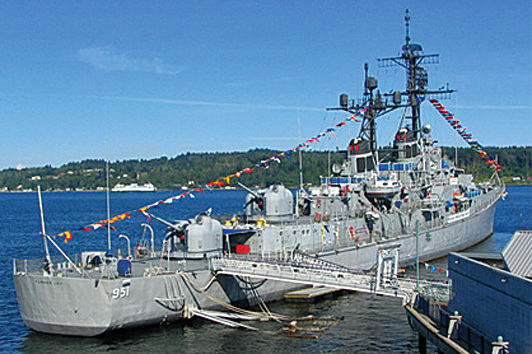 Whether you are a visitor, enlisted personnel or veteran, the Kitsap Peninsula offers many excellent places to experience and learn about our naval and military history. 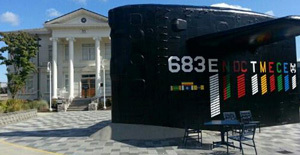 The Puget Sound Navy Museum, Naval Undersea Museum in Keyport and USS Turner Joy are very popular with veterans and children. In downtown Port Orchard, veterans created the very special Veterans Living History Museum. 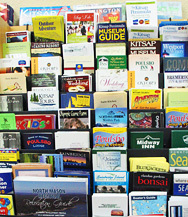 Use our Search Filter to find more locations. The famed Navy destroyer from the Vietnam War is permanently moored at the Bremerton Harborside Marina and is a popular destination for history buffs, veterans and visitors of all ages. Some say it's haunted ... visit its website for details.